222 pages | 6 Color Illus. | 15 B/W Illus. "Among various recent books on dendrimers, this one focuses on the very promising, but still challenging, field of nanomedicine/personalized medicine. It is not exhaustive, as the field is already very broad, but, besides classical topics such as drug and gene delivery and diagnosis, it deals also with topics rarely discussed previously, such as molecular modeling, toxicity studies, and it addresses also emerging areas. 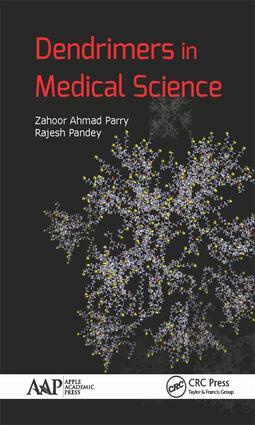 An inspiring book for the dendrimers community, in chemistry, biology, and nanomedicine!" Introduction: Nanotechnology and Medical Science. The Concept of Dendrimers. Synthesis and Types of Dendrimers. Molecular Modeling Techniques to Study Dendrimers. Dendrimer-Drug Interactions. Dendrimers and Drug Delivery. Dendrimers and Gene Delivery. Dendrimers in Diagnostics. Miscellaneous Biomedical Applications of Dendrimers. Toxicity of Dendrimers. Emerging Aspects in Dendrimer Research.